I would like to know if the Eric Carle ABC/123 Bath Set is safe for my baby. I cannot find anything online which states one way or another, and am unable to find an email address to contact them directly. Hi – I contacted Kids Preferred, the manufacturer of the Eric Carle Bath set and was told that they are “made of PVC that is BPA free and phthalate free”. So to answer your question – they ARE made of PVC. I already have so much to worry about! Thanks for helping out in this one area!! Any tips on finding a safe high chair that doesn’t cost a fortune? What about safe bath books? Obviously they are in the mouth half the time, so I am especially worried about these. You can buy Sandra Boynton’s bath books (she has two) and they are listed on her website as PVC-free. What about the brand they are now selling at target, B. You? The interlocking bugs are labeled phalarope and bpa free. How about PVC? I also got the fishing boat from them…? Thank you SOOO much for this information!!! Do you have any updated information you could add? Thanks!! This is soo helpful! 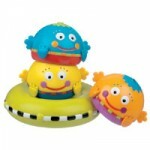 Thank you so much for your list of safe bath toys and books, do you know if the Sophie the Giraffe bath book is safe? Sorry, I should add that the Sophie book is made of EVA. Is that a safe material? The “B. You” at Target is a division of Battat toys. Check out the Battatco.com website. I called them recently, was very impressed. 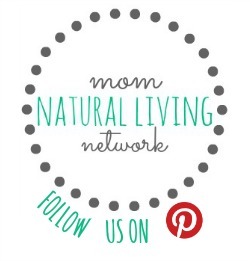 All their toys are bpa and phthalate free even though some at Target etc dont have that listed on the packaging. Watch your prices though, some things on Amazon are like triple the Target price. 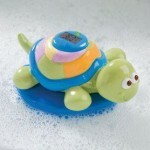 I contacted fisher price-and they say their toys are all PVC, BPA and phthalate FREE-at least the bath toys. I was told that if they contained those items it would be clearly labeled on the box. Below is my “chat” with them. You have been connected to Pam. Pam: Hi tamika, thank you for contacting Fisher Price. My name is Pam. How can I help you today? tamika : i want to know what is in this toy (topzy tumblers tubtime boat) is it pvc free? tamika : it is bpa free? The agent is sending you to http://corporate.mattel.com/about-us/cr-csreport.aspx. tamika : so i dont have to worry about chemicals leaching into the bath water? Pam: If these chemicals were in the product it would be listed. Pam: First, I want to assure you that safety is our top priority and we manufacture our products to the strictest safety standards, both domestically and internationally. Our toys are some of the safest and most rigorously tested children’s products in the world. Pam: Mattel does not manufacture or sell food contact items, such as baby bottles or sports bottles, and we require our licensees who make such products to use materials that do not contain BPA. Pam: As part of that commitment, we use only materials that have been carefully tested and that meet all applicable regulations of U.S. government agencies and their regulatory counterparts around the world. Pam: Here at Mattel, we have stringent safeguards in place that often go beyond applicable legal standards. We actively participate in industry safety groups to ensure that our standards are updated to reflect any developments in safety information. This is part of our long-standing commitment to parents and children. Pam: We totally understand. This toy is safe for your child. If it contained these chemicals it would be on the package as a warning. Hi Tamika, thank you for including your conversation! 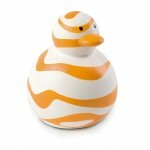 I am going to be updating my list of safe bath toys soon so I hope that will be helpful to you, as well! Fisher price toys contain PVC and lead, and BPA. They only are BPA free in food items only. Please help me boycott fisher price.